Swarovski Crystal Cufflinks. Swarovski Jet Black Crystal Marquise Cluster Cufflinks by Gemini London. Rhodium Plated Silver Finish. Swarovski Crystal Cufflinks. Marquise Cufflinks made with 24 Jet Black Swarovski Crystals. The marquise shape long length is 20mm, 10mm wide and sits 2mm proud. You're reviewing: Swarovski Crystal Cufflinks. 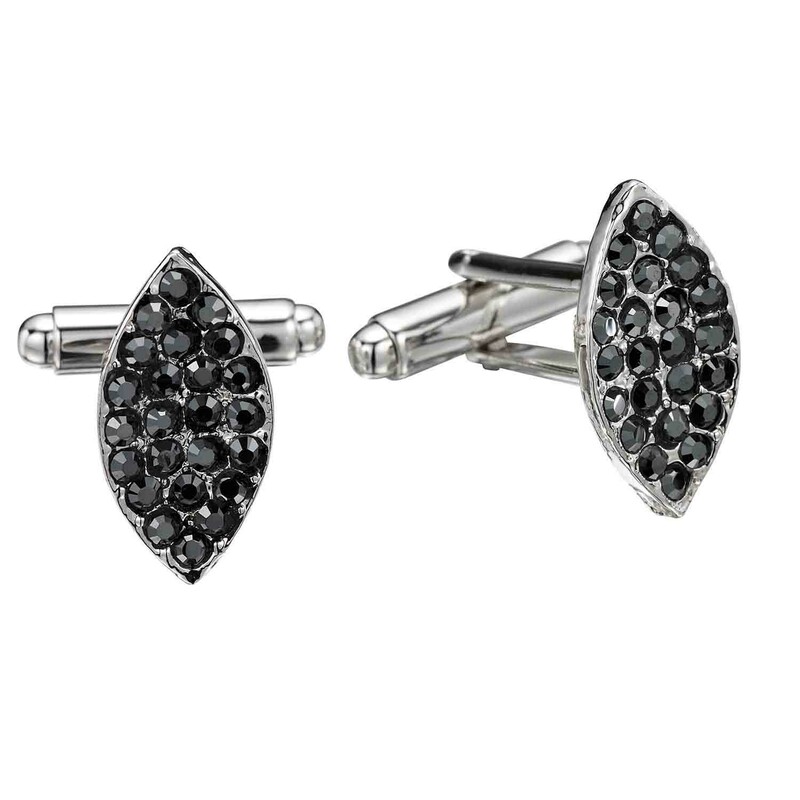 Swarovski Jet Black Crystal Marquise Cluster Cufflinks by Gemini London. Rhodium Plated Silver Finish.